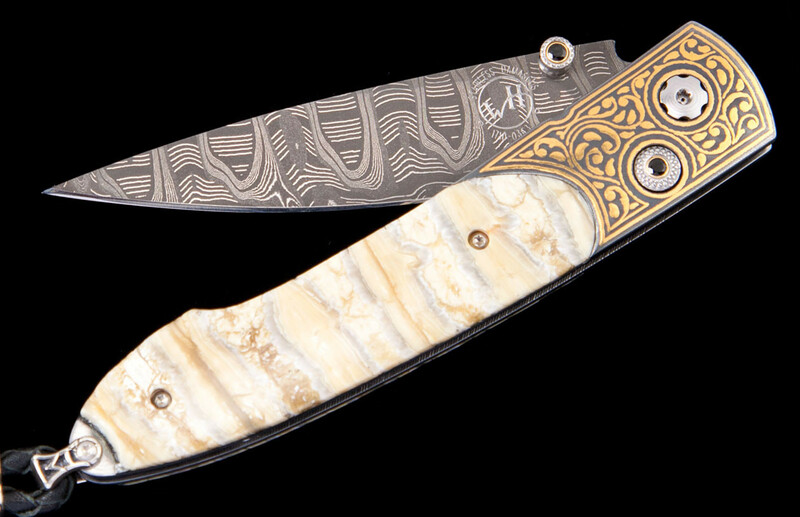 The Lancet ‘Fleur’ features a beautiful frame in 24K gold koftgari (the ancient Indian art of inlaying gold in tool steel), inlaid with a scale of 10,000 year-old fossil Woolly Mammoth tooth. 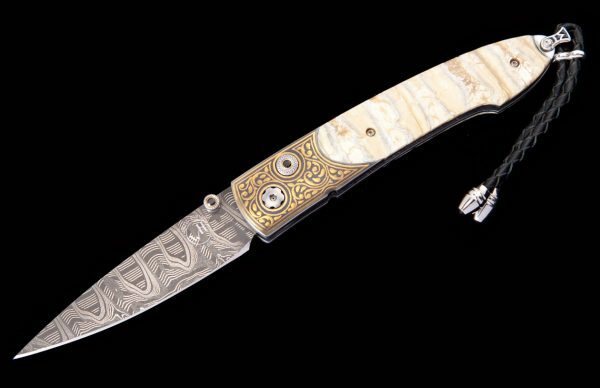 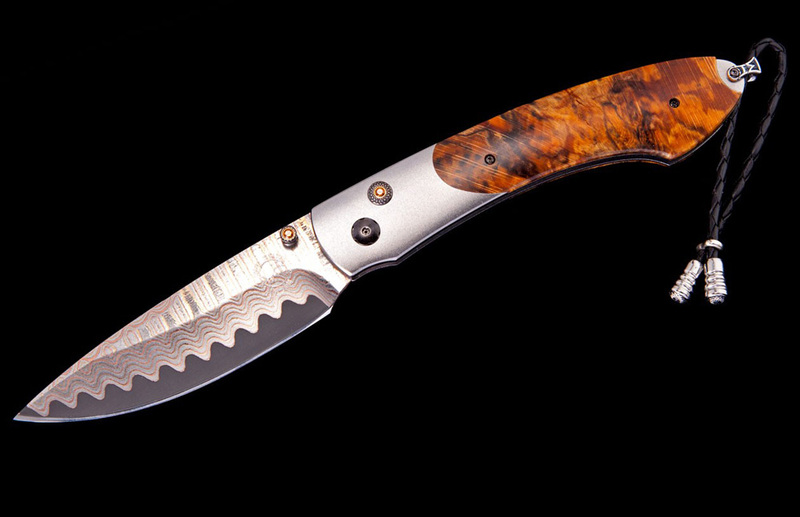 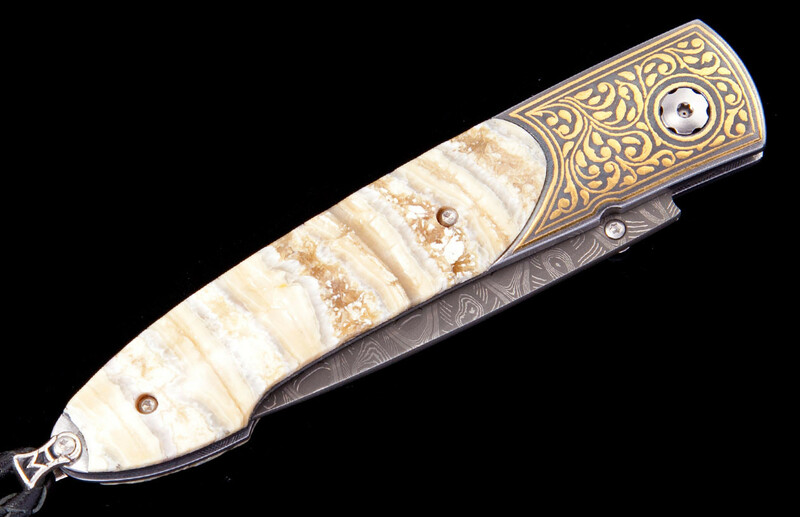 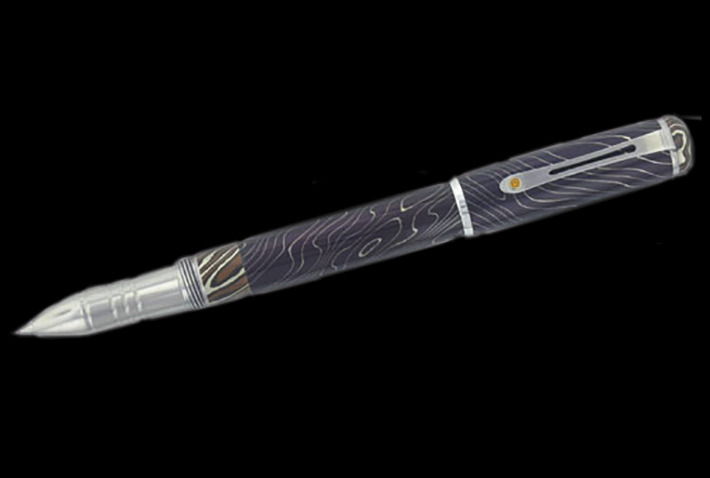 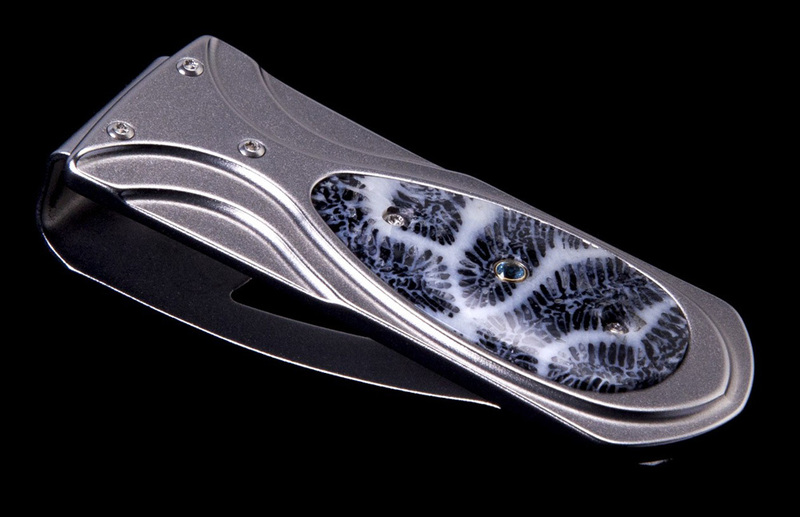 The blade is hand-forged ‘Hornets Nest’ damascus by Mike Norris; the one-hand button lock and the thumb stud are set with spinel gemstones. 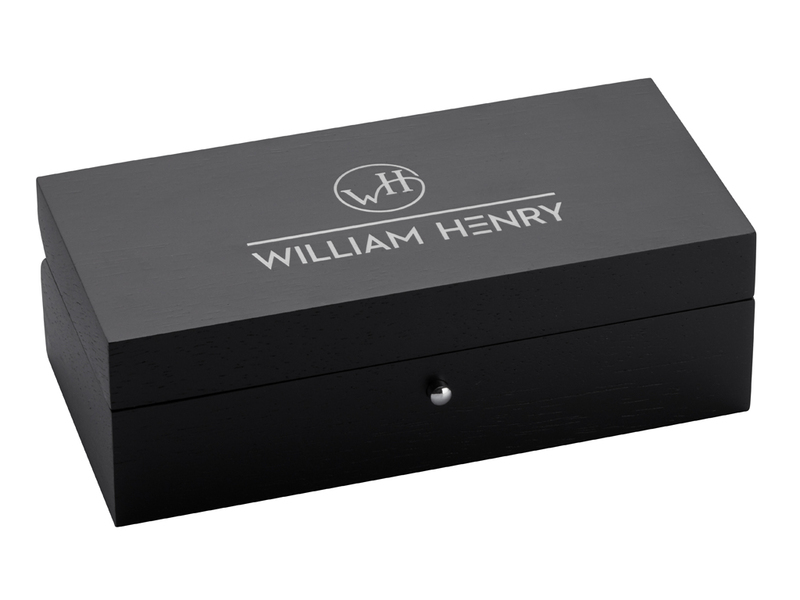 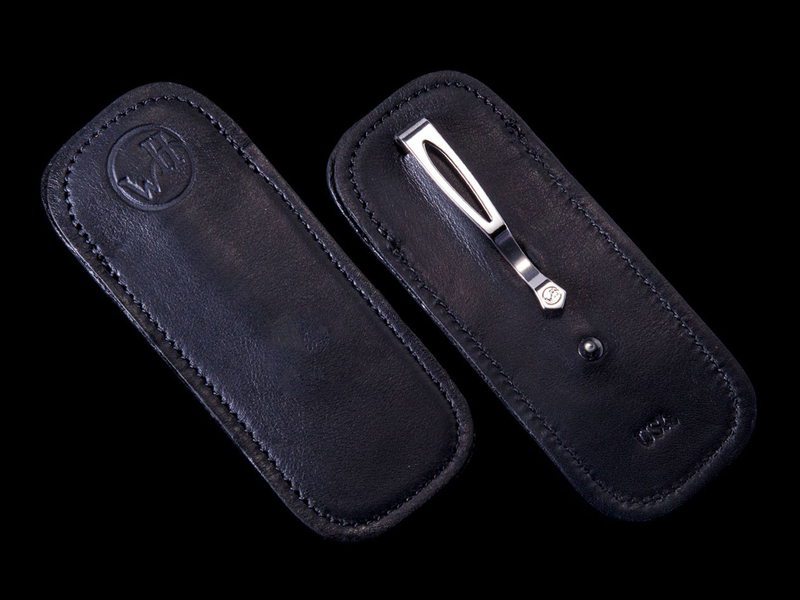 The ‘Hieroglyph’ features some of the exotic materials and hand-forged metals that are the hallmark of William Henry’s collections; a distinctive personality statement to be worn and used for a lifetime.